Where can religions find sources of legitimacy for human rights? How do, and how should, religious leaders and communities respond to human rights as defined in modern International Law? When religious precepts contradict human rights standards - for example in relation to freedom of expression or in relation to punishments - which should trump the other, and why? Can human rights and religious teachings be interpreted in a manner which brings reconciliation closer? Do the modern concept and system of human rights undermine the very vision of society that religions aim to impart? Is a reference to God in the discussion of human rights misplaced? Do human fallibilities with respect to interpretation, judicial reasoning and the understanding of human oneness and dignity provide the key to the undeniable and sometimes devastating conflicts that have arisen between, and within, religions and the human rights movement? 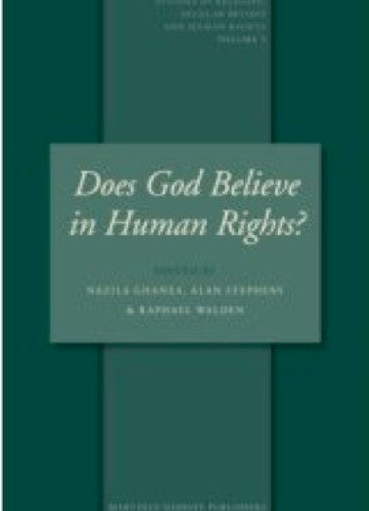 In this volume, academics and lawyers tackle these most difficult questions head-on, with candour and creativity, and the collection is rendered unique by the further contributions of a remarkable range of other professionals, including senior religious leaders and representatives, journalists, diplomats and civil servants, both national and international. Most notably, the contributors do not shy away from the boldest question of all - summed up in the book's title. The thoroughly edited and revised papers which make up this collection were originally prepared for a ground-breaking conference organised by the Clemens Nathan Research Centre, the University of London Institute of Commonwealth Studies and Martinus Nijhoff/Brill.